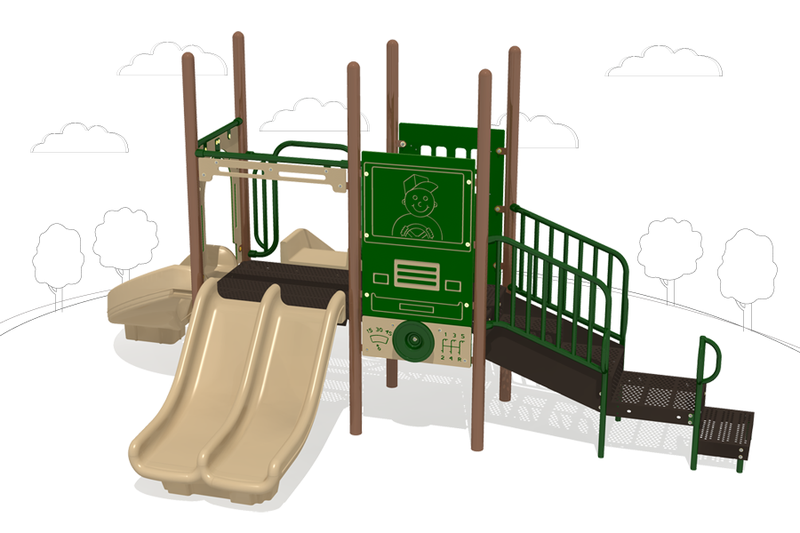 The EPS 1ADA-225 is a fun, compact structure that is perfect for any play area with limited space. Featuring a trio of fun slides, endless races with friends are sure to ensue. 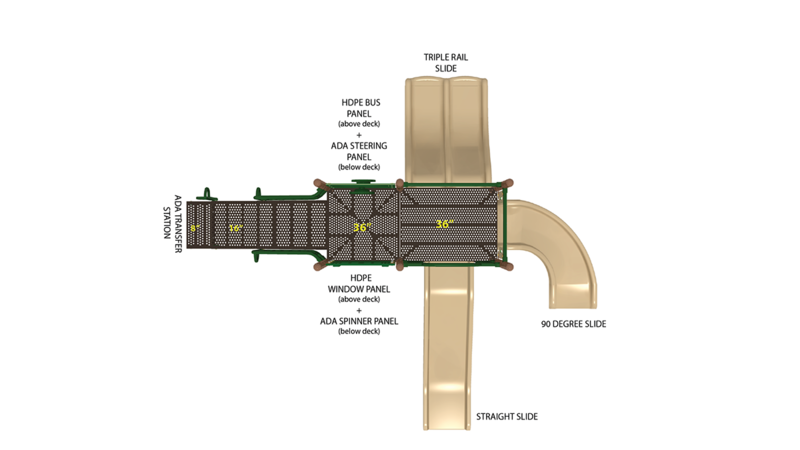 An ADA transfer station ensures that all the excitement this system has to offer is accessible to all. 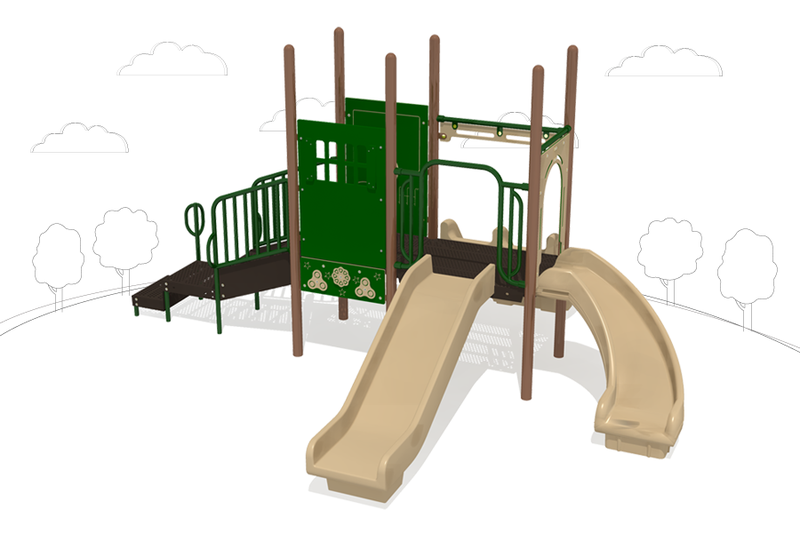 Two ground-level play panels provide accessible entertainment for all before even accessing the system.